Winter is almost here! - L.R. 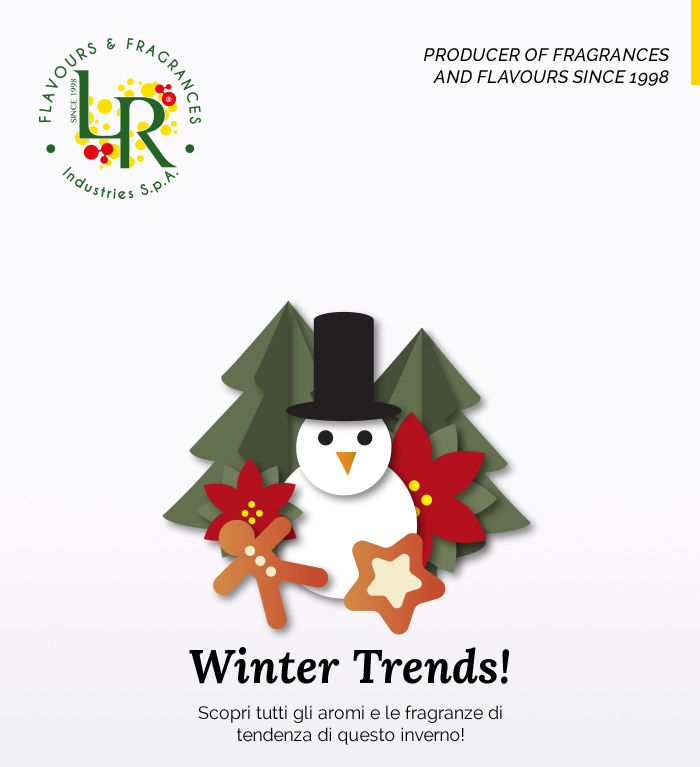 Flavours & Fragrances Industries S.p.A.
Home News Winter is almost here! Let our new winter trends warm you up: during the new season spiced orange, violet, myrtle and mastic, powdered sugar, vanilla and saffron fragrances are mixed with white chocolate, nuts, toasted pistachio, pandoro and candied fruit flavours.